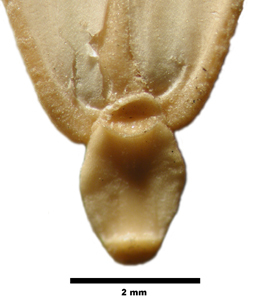 Dasypyrum villosum grain (collected in Greece). 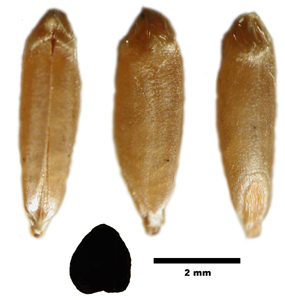 We have included this species because the grains and spikelet bases are morphologically close to the wild ryes and einkorns. However this species has never been identified from Near Eastern archaeobotanical material.